There's a giant troll under a bridge. A diminutive Statue of Liberty. And so much more to discover. Seattle is filled with sculptures, parks and surprises in nearly every neighborhood – from a massive concrete troll clutching a VW Beetle in Fremont, to a Statue of Liberty overlooking Elliott Bay on West Seattle’s Alki Beach. Whether they lurk under a bridge or sit at the end of a pier, here’s how to find some of Seattle’s most iconic landmarks. The massive concrete troll – complete with a gleaming hub cap for an eye – has been in residence under the Aurora bridge on Troll Ave. in the Fremont neighborhood since a group of artists sculpted him in 1989. Parking can be difficult right near the troll, but there are many bus stops near 36th St., and it’s a short walk to the corner of 36th St. and Troll Ave., where the Troll sits, just waiting to be climbed. 3405 Troll Ave. N.
When the 38-story tower was completed in 1914, it was the tallest building west of the Mississippi River until 1931. 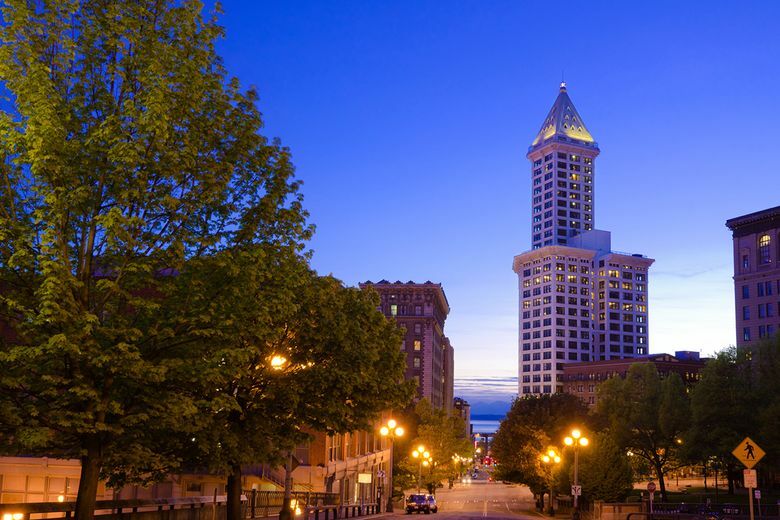 The “Legends of Smith Tower” tour is a self-guided opportunity to learn about previous tenants’ roles during Prohibition and beyond. Visitors also can ride straight up to the 35th-floor observatory in an original Otis elevator (run by an operator in period dress) to take in 360-degree views and sit in the legendary Wishing Chair. Located on Second Ave. in Pioneer Square, the white tower is just steps from the Pioneer Square light rail station. 506 Second Ave.
Have you done a ‘new year, new needs’ home checkup? There’s something for everyone at this 48-acre park in the heart of Capitol Hill, from play areas and wading pools to sculptures, a historic water tower and conservatory. There are numerous entrances to Volunteer Park on 15th Ave. E. and E. Prospect St., with limited parking inside the park. 1247 15th Ave. E.
This passageway between Puget Sound, Lake Union and Lake Washington celebrated 100 years of helping boats traverse the varied waterways in 2017. 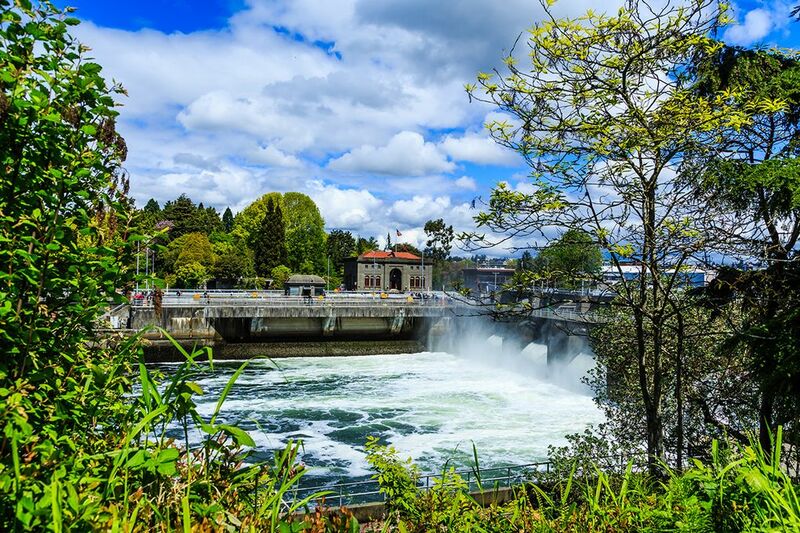 Also known as the Hiram M. Chittenden Locks, the waterway also serves as a link for steelhead and salmon swimming upstream, a feat that can be witnessed through glass panels on the fish ladder from July through September. The locks can be accessed in Ballard through the Carl S. English Jr. Botanical Garden or from Interbay from Commodore Park. 3015 NW 54th St.
Perched on Magnolia Bluff overlooking Puget Sound, this 534-acre park is the largest city park in Seattle and contains over 11 miles of walking trails. Visit the United Indians of All Tribes’ Daybreak Star Cultural Center, the West Point lighthouse, and take in the entire Seattle skyline from the Discovery Park Loop Trail. Discovery Park, located in the Magnolia neighborhood, is accessible by bus or car, and has ample parking options. 3801 Discovery Park Blvd. This 9-acre waterfront park is home to nearly two dozen sculptures; one only has to follow the meandering path through meadows, over a glass bridge and down to the shores of Elliott Bay to see them all. Exhibits in Paccar Pavilion change often, and the Gates Amphitheater is home to free concerts every summer. The Olympic Sculpture Park is easily accessed via car, foot or bus. 2901 Western Ave.
Visit FindMySeattle.com, sponsored by Amica Insurance. Take the quiz, browse the map, or explore 40 neighborhoods to find the right one for you. The content herein is for general informational purposes only and does not constitute a recommendation or endorsement by Amica Insurance. Amica Insurance makes no warranties, express or implied, as to the content.